What Can a Journey to the Mountains of Ecuador Teach about Land Stewardship in Central New Jersey? RSVP at (609) 924-4646 or rsvp@drgreenway.org. John. L. Clark, Ph.D., Aldo Leopold Distinguished Teaching Chair, Environmental Science and Ethics, the Lawrenceville School, will lead participants on an exciting journey, sharing his experiences as a U.S. Peace Corps volunteer and further research in Ecuador. Dr. Clark is no stranger to D&R Greenway—he has led public walks on trails in the Sourlands, demonstrating how buds, bark and scent can be used to identify local trees and flora. Dr. Clark lived in Ecuador for six years, first as a high school exchange student and later through Peace Corps service, as a Fulbright scholar and a guide. In 2015, Dr. Clark, who earned his doctorate in biology at George Washington University and is a Visiting Research Scholar, Department of Ecology, Evolution, and Natural Resources, Rutgers University, left a position as associate professor at the University of Alabama to join the Science Department at the Lawrenceville School. “It was an honor to work for the university that is the alma mater of the father of biodiversity (E.O. Wilson) and then transition to a school that is the alma mater of the father of wildlife conservation (Aldo Leopold),” says Dr. Clark. The move allowed Dr. Clark, a New Jersey native, to be near family and near his wife’s position as headmistress at Princeton Junior School. As Aldo Leopold Distinguished Teaching Chair, Dr. Clark promotes wilderness ethics and biodiversity. “One of my first goals was to establish a long-term project in Ecuador to provide a wilderness-based experience for students and generate scholarship to promote biodiversity,” he says. The Lawrenceville School’s Ecuador program is designed to teach students field-based research, to develop skills in remote travel in the tropics, and experience Ecuadorian culture. Students hike, camp, install a small plot on which to evaluate tree diversity, and explore culture in the capital, Quito. “Our students demonstrated significant grit, curiosity, and eagerness to learn more about the biology and culture of this remarkable region,” says Dr. Clark. A prominent feature of these mountains is nutrient-poor soils that harbor uniquely adapted flora that can tolerate the extreme habitat. As a result, the flora is distinctive and locally abundant species on the flat summits are often globally rare. 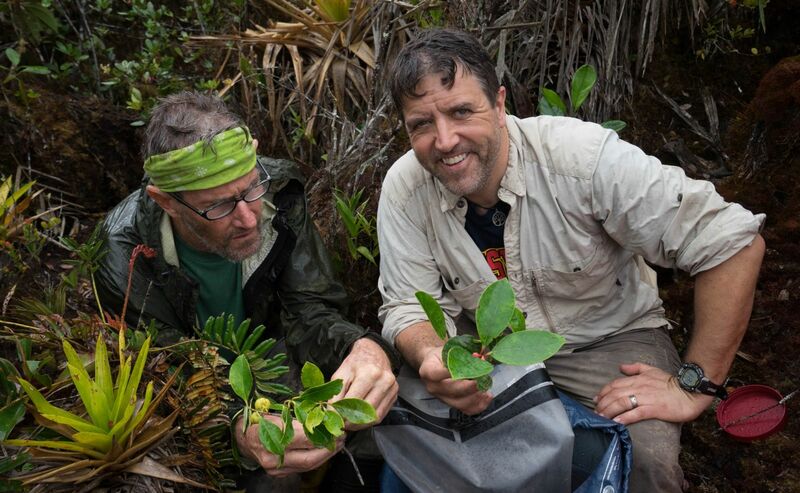 Four new plant species were discovered during the expedition. in our backyard," enthuses Linda Mead, D&R Greenway's President and CEO. global connections as its stewards."